As more longer-range electric vehicles go on sale, the charging infrastructure that supports them will need to adapt to bigger batteries. When it comes to DC fast charging, more powerful charging stations will be needed to charge electric cars with larger-capacity battery packs within a reasonable amount of time. According to CHAdeMO Association, there are now 633 CHAdeMO DC fast chargers installed in the US. Actually, there are more than 633, but CHAdeMO’s updates lag actual installs by a least a few weeks, sometimes even a couple of months. With little fanfare, Nissan continues to support the rollout of CHAdeMO quick chargers in the US. A perfect example of Nissan’s continued support is in Monterey, California where the automaker donated a $15,000 CHAdeMO quick charger to the Community Hospital of Monterey Peninsula. Can you name one other automaker who donates $15,000 chargers? Not only are the stations convenient (and the Tesla Model S endowed with a long enough range to make such trips much easier) but they’re also free to use for Model S owners–not something that can always be said of CHAdeMO and its compatible vehicles. Nissan’s EV Advantage program offers $10,000 to companies, groups, and others who install a publicly available quick-charging station using the CHAdeMO standard that’s compatible with its Leaf electric cars. The $10,000 payment is good through next March 31, and there’s an additional bonus of $5,000 if the station is up and running by December 31 this year. ould this be the beginning of the end for the CHAdeMO fast charging standard? On Tuesday, the CHAdeMO Association posted a notice on its website that the European Parliament is considering draft legislation that would terminate CHAdeMO at the end of 2018. This move is being considered despite the dominant role of the Japanese standard in fast charging around the world. 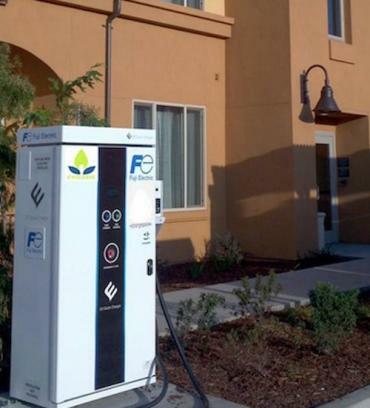 Travelers who want to recharge themselves and their Nissan Leafs can take advantage of a new feature at the Residence Inn San Juan Capistrano. For the majority of the general public to consider purchasing a fully electric car, they first want accessible public charge points located at or near places they frequent in their daily life. 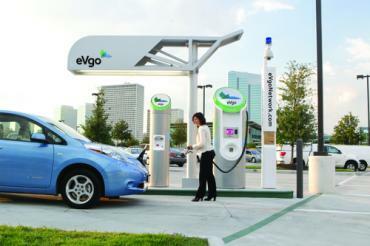 EV Fast Charger integrates with Level 2 stations. The number of Quick Charge stations in the U.S. may not be nearly as important as where they’re installed. The number of global electric vehicle charging stations that use the CHAdeMO standard has doubled in the past year to more than 2,000 units, and will continue to grow, according to the CHAdeMO Association. Last year the number of stations in the US alone grew from just 12 to 154. The association expect there to be 4,000 units in operation worldwide by the end of 2013. While some drivers can get past the “limited range” of electric vehicles [EV], another major sticking point would be “recharge times.” Fast-charging stations, such as the Japanese standard CHAdeMO, or Tesla’s Supercharger Network, certainly make it easier to get around past the radius centered on your home charger. Nissan’s Tim Gallagher on Saturday discussing the 2013 Nissan LEAF, seen in background, and Quick Charging, at Luscious Garage in San Francisco, at a meeting of the Bay Area Nissan LEAF Owners Association. The Tesla Model S electric sedan is set to get a CHAdeMO quick-charge adaptor when it arrives on the market in Japan. CHAdeMO is the leading quick-charge standard in Japan, and drivers have access to almost 1,900 charging stations across the country. Most electric vehicle owners charge their cars at home overnight. But charging on the road allows you to drive more than the range of a single charge. To cover the basics, we’ll explore the types of charging, how to find public charging stations, and the best way to plan a trip. There are three different types of charging supported by modern EVs. Fuji’s low cost 25kw CHADEMO fast charging station gets first deployment in U.S. The first publicly available electric car fast charging station on the ChargePoint network has been installed near Los Angeles in the first of what is slated to be a string of fast charging stations in the Los Angeles and San Diego area. 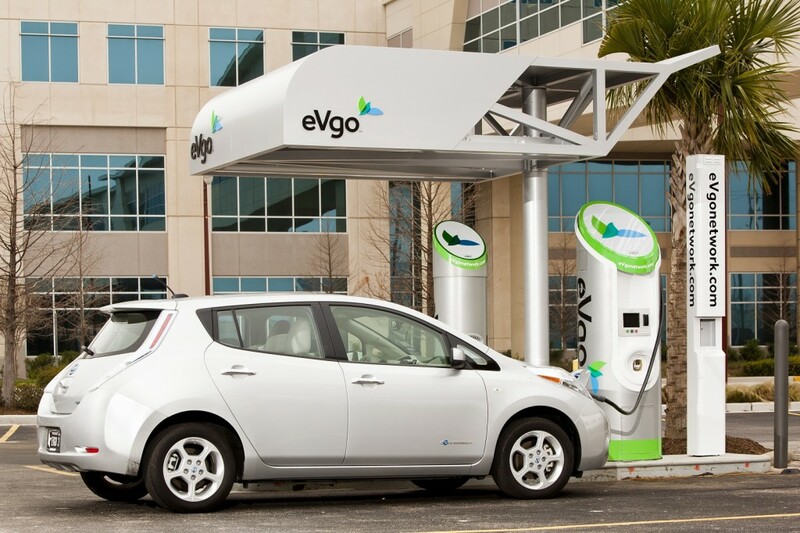 How do changes in electric car fast charging affect the NRG/eVgo settlement with California? When the NRG settlement with California was announced last Spring, CHADEMO was the only fast charging standard on the market, but did the rapidly changing market for electric car fast charging throw a monkey wrench into that agreement?